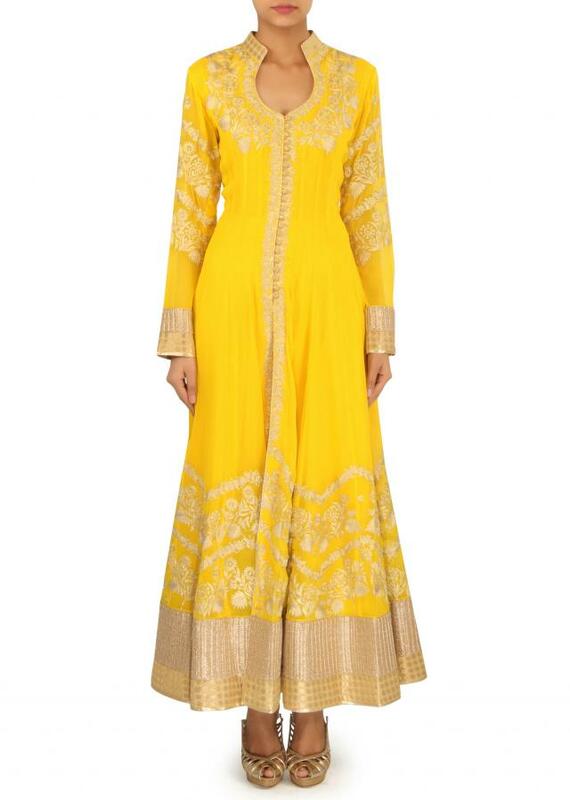 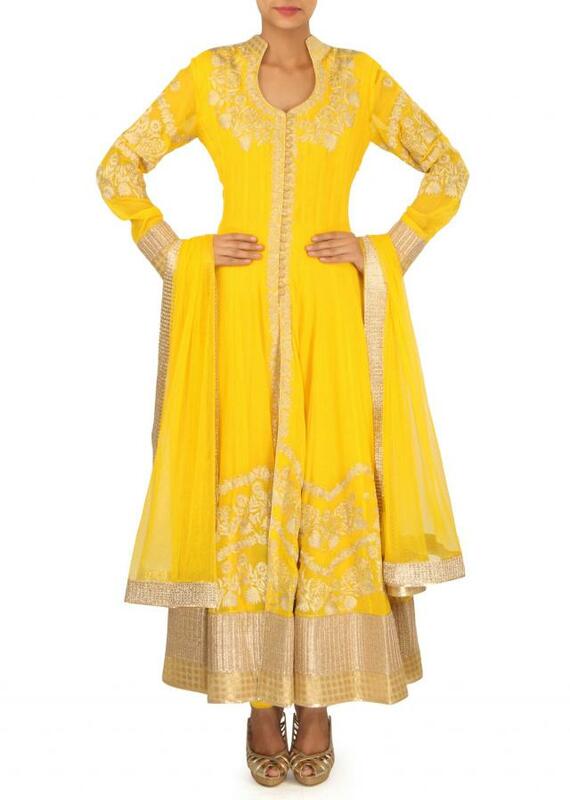 Yellow anarkali suit featuring in georgette. 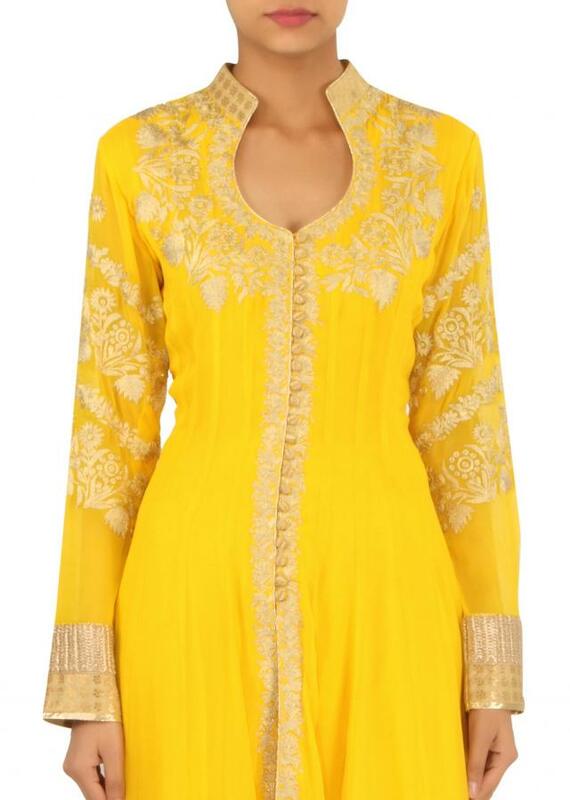 Its embellished in zari embroidery. 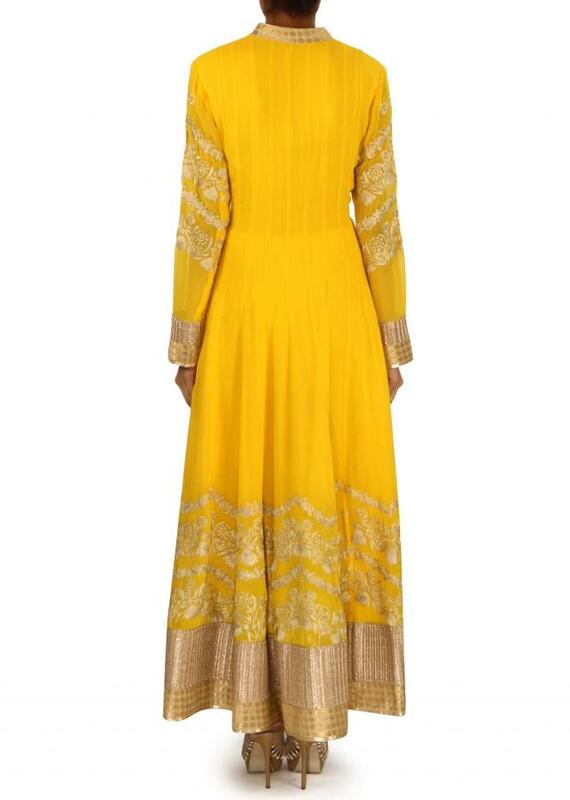 Matched with lycra churidar and net dupatta with fancy border.